Universal Tile Adhesive is an elastic, durable tile adhesive for fixing a wide variety of tiles to internal or external substrates. 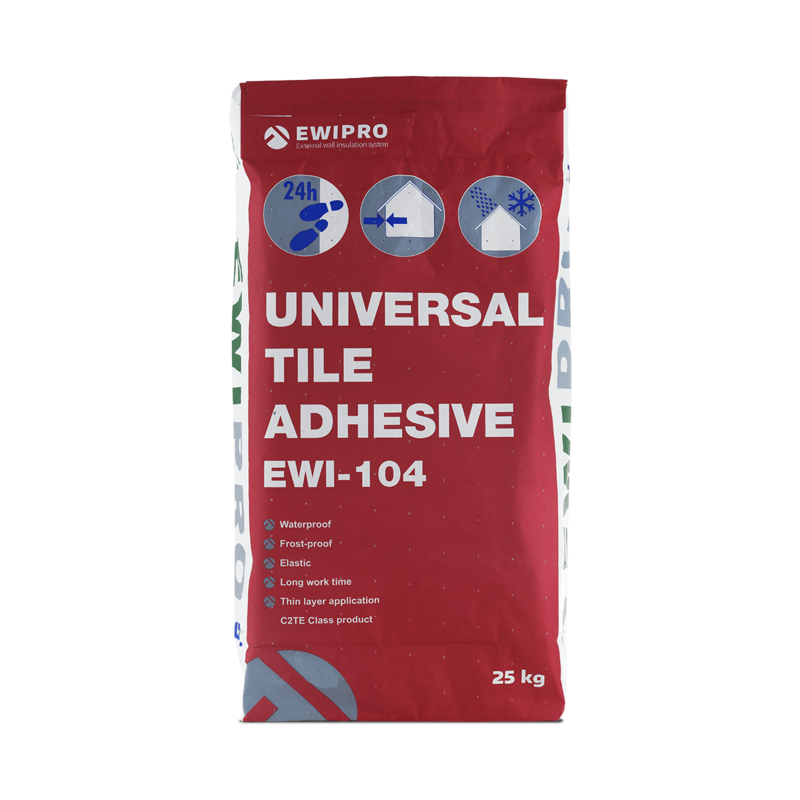 Easy to use due to its long adjustment period of approximately 20 minutes, the Universal Tile Adhesive allows users to create a perfect tiled finish that is long-lasting, waterproof and frost proof. The Tile Adhesive is made with Portland Cement, mineral fillers and polymers to create an elastic, C2TE class adhesive for interior and exterior tiling. Universal Tile Adhesive is perfect for applying natural stone tiles, ceramics and clinker tiles. The adhesive comes as a dry mix in 25kg bags, so only requires the addition of water before it can be used. Simply apply a thin layer of the adhesive using a notched trowel at a maximum thickness of 5mm. Universal Tile Adhesive should not be applied in rain or humid conditions, or if wet weather is expected before the adhesive has set. 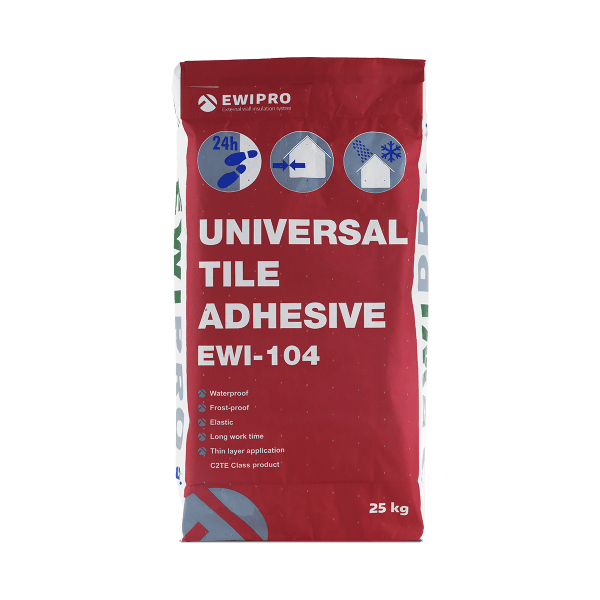 Universal Tile Adhesive should be applied in temperate weather and should not be used in temperatures above 30°C. Likewise, if the materials or the substrate are frozen, or if there is any risk of frost damage within the first 24 hours, work should be postponed. Setting time is dependent upon environment and humidity. Do not tread on tiles until 24 hours after application. EWI-104 should be mixed with approximately 6.0 litres of water per 25kg of dry mix.